This practice management library features Don Connelly and Richard Capalbo discussing various aspects of the Financial Advisory business. They present their thoughts and observations on What Elite Advisors Do that Average Advisors Don’t Do. This 4.5-hour recording is part of Don and Richard’s legacy to the Financial Services industry and is their hope that Financial Advisors around the globe can light their candles from them as Don and Richard have done from so many others throughout their careers. 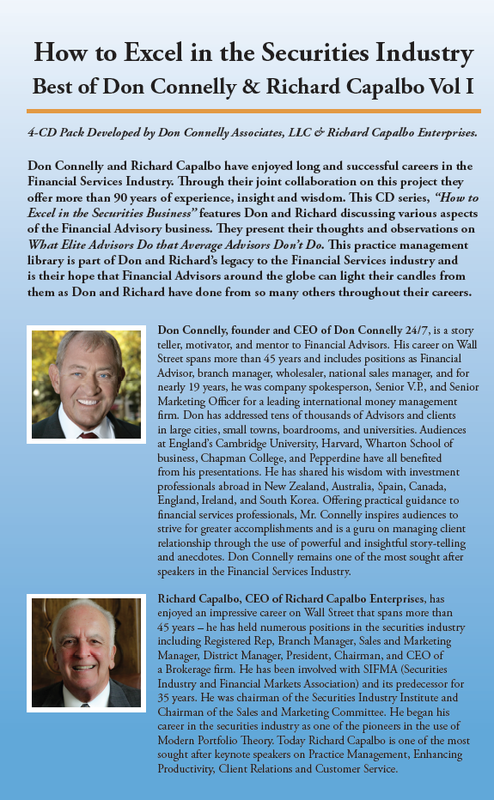 Don Connelly and Richard Capalbo have enjoyed long and successful careers in the Financial Services Industry. Through their joint collaboration on this project they offer more than 90 years of experience, insight and wisdom. 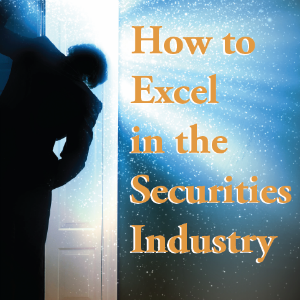 This CD series, How to Excel in the Securities Industry, features Don and Richard discussing various aspects of the Financial Advisory business. They present their thoughts and observations on What Elite Advisors Do that Average Advisors Don’t Do. 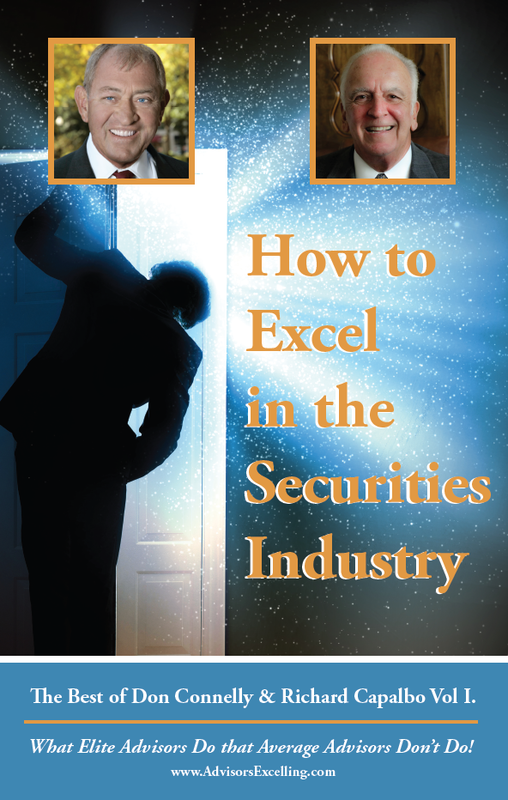 This practice management library is part of Don and Richard’s legacy to the Financial Services industry and is their hope that Financial Advisors around the globe can light their candles from them as Don and Richard have done from so many others throughout their careers. Once you place your order and complete your payment, you will be shown your order details on the screen with 5 download links – 4 links to mp3 files (1 file per CD) plus a PDF file with the track list and timing of the recordings. You will receive the same order details via email.